John (often called Whiting), the sixth child of Dan and Elizabeth Huntington was born on May 28, 1809. He grew up in Middletown, Connecticut and then Hadley. 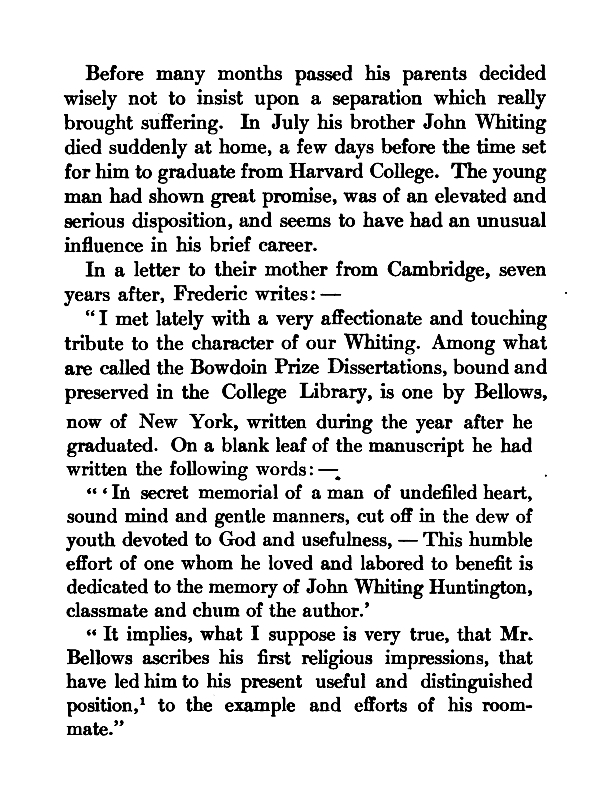 From 1829 to 1832, John attended Harvard. He was examined for his Bachelor's degree, but died before commencement.